Just off the press: Lucie Guibault, Christina Angelopoulos (eds. 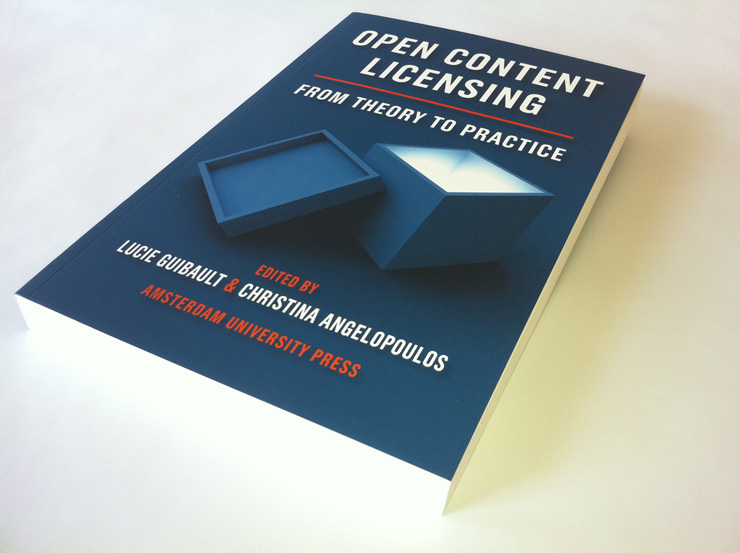 ), Open Content Licensing. From Theory to Practice, Amsterdam University Press 2011. Full text download / Table of Content. The collection goes back to the Academy Colloquium entitled ‘Open Content Licences: New Models for Accessing and Licensing Knowledge’, held in April 2006, organized by the Institute for Information Law of the University of Amsterdam, in conjunction with Creative Commons Netherlands. Three additional chapters are adapted from studies carried out in recent years for Creative Commons Netherlands and made possible thanks to a subsidy from the Dutch Ministry of Education, Culture and Science. It includes contributions by Gerald Spindler, Séverine Dusollier, Till Kreutzer and Mireille van Eechoud. My essay is entitled „Towards a New Social Contract: Free-Licensing into the Knowledge Commons.“ A significantly extended version will be published shortly.